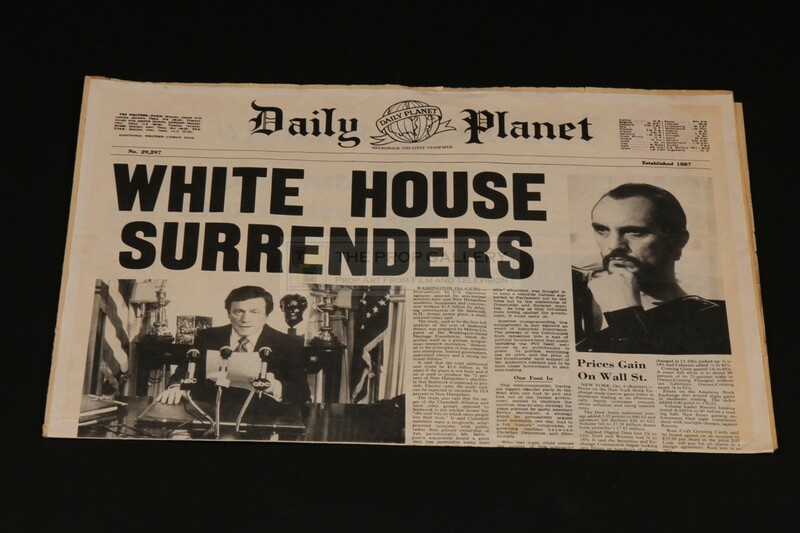 An original prop used in the production of Superman II, the 1980 superhero sequel starring Christopher Reeve in the title role. 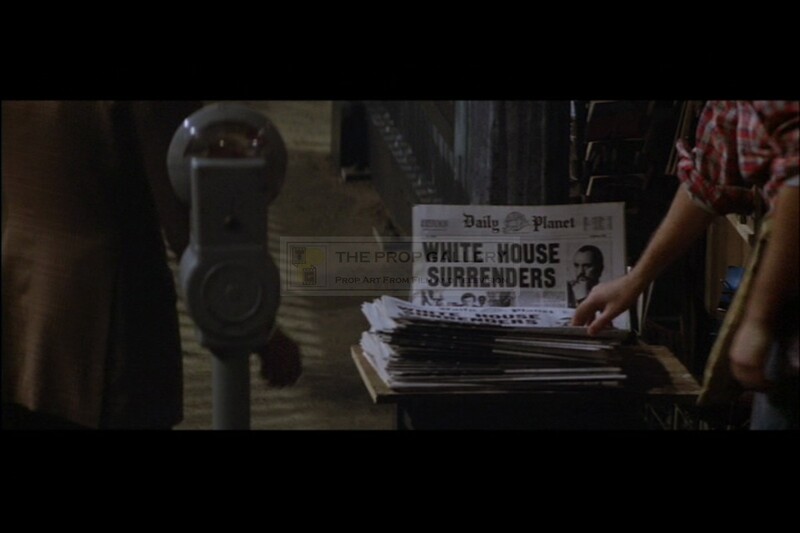 This prop newspaper was created by the production for the scenes after the villains storm the White House. 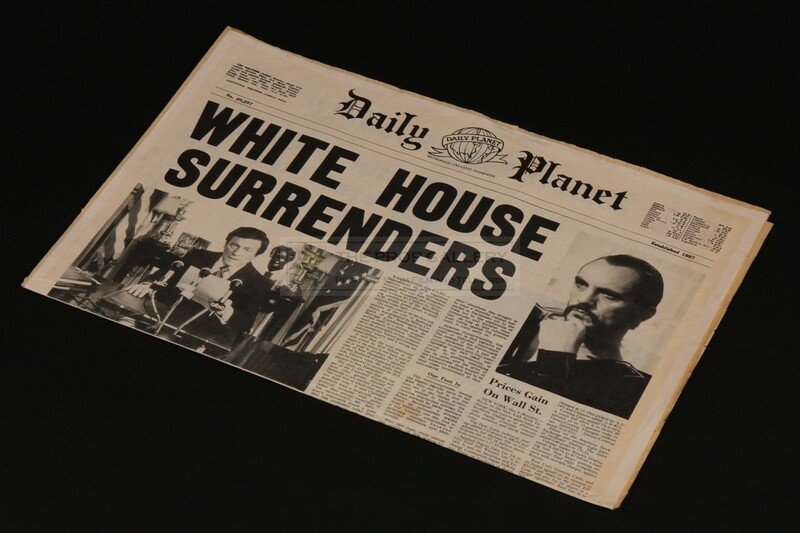 The paper consists of a custom printed front cover featuring the headline 'WHITE HOUSE SURRENDERS' with imagery of General Zod (Terence Stamp) and the President of the United States (E.G. Marshall) which has been affixed to a genuine newspaper of the period. 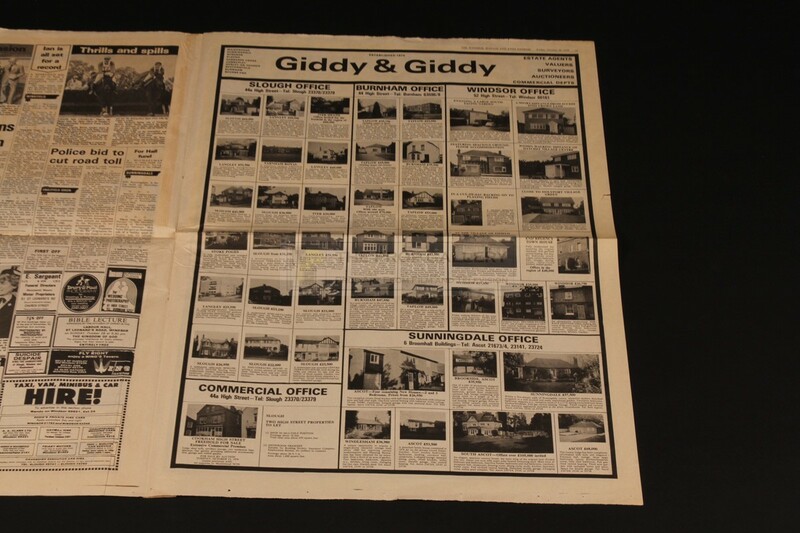 The large broadsheet style newspaper measures approximately 24" x 17.5" when closed and remains in excellent production used and folded condition exhibiting only minor edge wear and toning to the genuine newspaper below, overall fine. A recognisable and displayable artefact from this well regarded picture which remains an influential favourite of the superhero genre.